The IKO network offers kiteboarding IKO Instructor Training Courses recognized around the world. Action Sports Maui in an official IKO training Center and offers several ITC Courses on Maui each year. Instructor training courses include: Assistant Instructor Courses, ITC Courses, First Aid CPR Training, Boat Courses, and Equivalency Courses, as well as some specialty training courses and clinics. There is a limited number of places available in each course so bookings are essential. The Assistant Course is where you will learn about becoming a professional instructor, this 5-day course is designed to give you real experience working with professional instructors in a school setting. The course is divided into practical, theoretical, and technical sections. The assistant instructor will become proficient in technical aspects of gear preparation, function, tuning and repair. Candidates become familiar with the functioning of an IKO school, learn to give the basic ground school lessons, and work with real students, and take on the responsibilities for managing kiteboarders, while under the supervision of an experienced level2 certified kiteboard instructor (or above) This course is the precursor for the ITC and higher levels. ITC Courses (IKO Instructor Training) are run by a qualified IKO Examiner. The ITC is a 5-day course that will prepare the candidates for a professional teaching career. The course will include knowledge of the IKO system, teaching methodology, technical understanding of the physics of kiteboarding, a practical skills test and a practical teaching assessment. The course is designed to identify the candidate’s strengths and weaknesses and help them to become a safe and “well rounded” instructor. Maui courses have the added benefit of the warm water location and the very reliable trade winds. 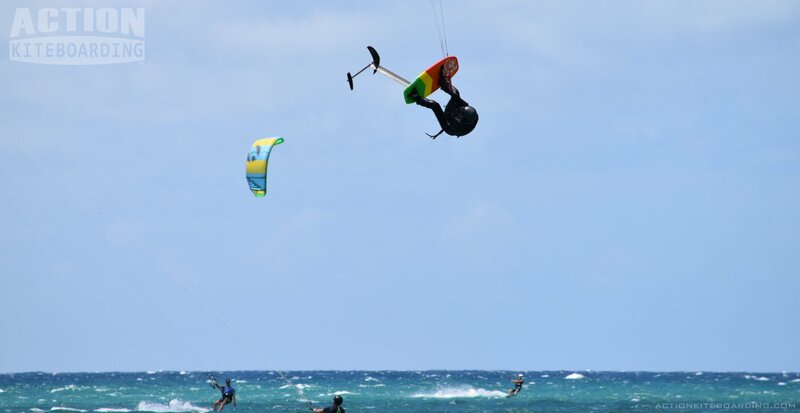 Candidates come from all over the world to do their training on Maui, and will often extend their stay on Maui to make a longer kiteboarding vacation. The IKO certification is accepted worldwide and is the most highly regarded qualification in the industry. Upon successful completion of the instructor’s requirements, the course graduates will receive the official IKO Instructor Certificate signed by their trainers, and they will be registered on the IKO’s International Instructor database. Detailed Course requirements are listed on the IKO website. Then the instructors will log into the IKO-Pro system on to receive their IKO instructor ID number. Instructors pay an annual fee to remain in good standing with IKO (the first 2 year’s membership is included in the initial course fee). After graduation Instructors are able to keep their level of training and competencies current after their ITCs by accessing one of the Continuing Education Programs exclusively available for IKO instructors. The IKO School network is the largest kiteboard school network or affiliated centers. These schools follow the highest standards. IKO schools exclusively use IKO certified instructors and always follow the IKO methods and standards. IKO Schools are now located in over 40 different countries and in many great kiteboarding destinations. The standardized system allows instructors (and students) to pass between schools more easily. Students get a certification card with their accomplished levels, to take with them after their lesson so that they can show their competencies at the next school. Student can build on their skills by training at at several different schools, until they have enough to be a fully independent kiteboarder. All students receive an IKO Kiteboarder Card. The IKO Card shows the skill level achieve by the student, and it acts like a kiteboarding drivers license (similar to the PADI scuba card). It is proof of safety training and skill level, and can (in certain situations 3n) allow students to rent appropriate equipment at an IKO center, or allow them to ride at a restricted beach. Kiteboarders should always carry their IKO card when they travel. In Europe and USA some beaches have been closed to kiteboarding due to safety concerns. In a growing number of beaches, authorities are requiring a certification card, as a proof of competency, before allowing the kiteboarder access to the area. The IKO card is one of the cards recognized for this purpose. Primarily the card is useful for the student to gauge their progress, have a feeling of accomplishment, maintain their enthusiasm, and clearly see all the skills they need to master to become independent. There is a huge demand for IKO Certified Instructors. Kiteboarding is a growing industry, and there are plenty of opportunities for IKO instructors to work at home and abroad. There are positions available for; Assistants, Instructors, head instructors, and school managers. Kiteboarding instructors can travel and work year round following the wind. After completion of the training and registration on the instructor pro-website. Instructors will have access to exclusive job listings that are posted on the IKO’s pro website. IKO offers members and instructors the chance to do a variety of online training courses, from basic theory up to some specialty teaching endorsements. The IKO’s Online Education and e-learning is a great way to improve knowledge, and boost your qualifications. IKO instructors are required to do teaching updates, and complete OEC (Online Education Courses) to stay current. We provide internship opportunities for new trainers to gain real life working environment. There is a demand for real experience that will prepare graduates for the demands of working in a professional commercial setting in a variety of different conditions. We regularly exchange instructors with other schools, and we can find placements in many different destinations. Whether instructors want a working vacation or they are wishing to relocate. We are always looking for good reliable instructors either permanently or part time. The IKO network is the world’s largest kiteboarding community. After Graduation and registration, IKO instructors, will earn points towards gaining the level-two certification as soon as they teach their first lesson. New instructor will log their hours and their students to get credit towards their next level certification. The instructor use the online feedback request system to get the students feedback and verify their hours. After logging the required 160 hours, the candidate will then do a level two written exam. This will qualify them for the “level two”. Level two instructors can teach more students, and can log shadow hours of a level 1 candidate, and can also qualify to take the teaching an assistant course that allows them to train, assistant instructors. Level 2 instructors can become head Instructors for IKO affiliated schools. After acquiring a minimum of 1000 teaching hours and a minimum of 80 students, the level2 instructor becomes eligible to do the IKO level2 senior Exam. The L2Snr Exam in an interactive online test that requires the candidate to draw on their teaching experience, and also to answer questions about technical aspects of teaching, and have thorough knowledge of the IKO system. Upon successfully passing this exam, the L2 is promoted to level two Senior, instructor. Level2 Seniors have access to higher levels of training , including being eligible to apply for the Assistant Examiner training program. The IKO has a program for every level of kiteboarder from their first day onward. A kiteboarder can learn the basics and follow the programs until they get higher levels of training and corresponding certifications. An instructor can plan a career path in the network and in the industry. The higher the instructor’s level of experience and training, the better the opportunities that are available and the higher the demand. The Instructor’s certification level represents their training, experience and dedication as an instructor. Today, you can make your passion your job by following an IKO instructor training course and by becoming an IKO instructor. The instructorship program meets the qualifications and motivations of all, since an inexperienced candidate can first become Assistant instructor before becoming instructor level 1, then level 2, level 2 senior, and beyond. The IKO teaching concept is considered as the most professional and efficient Kiteboarding method worldwide. Thanks to continuous updates and high quality standards, you will be able to work and teach kiteboarding with the support of the leading organization in the development of the sport. Start your international pro career today!